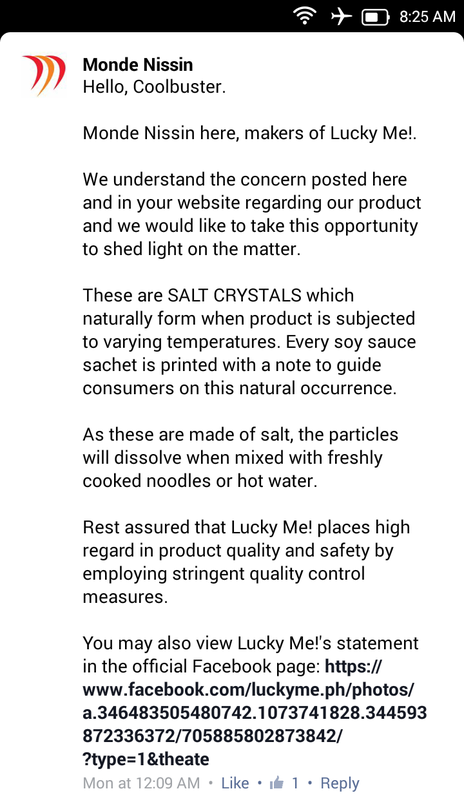 Monde Nissin, makers of Lucky Me!, has issued a statement to clarify what the alleged glass fragments in the instant pancit canton video are. 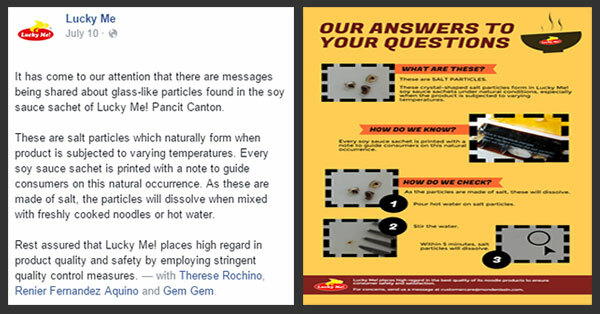 This after a consumer claimed in a viral video that the packs of instant pancit canton he bought contain noodles with bad odor and pieces of broken glass. Monde Nissin here, makers of Lucky Me!. We understand the concern posted here and in your website regarding our product and we would like to take this opportunity to shed light on the matter. These are SALT CRYSTALS which naturally form when product is subjected to varying temperatures. 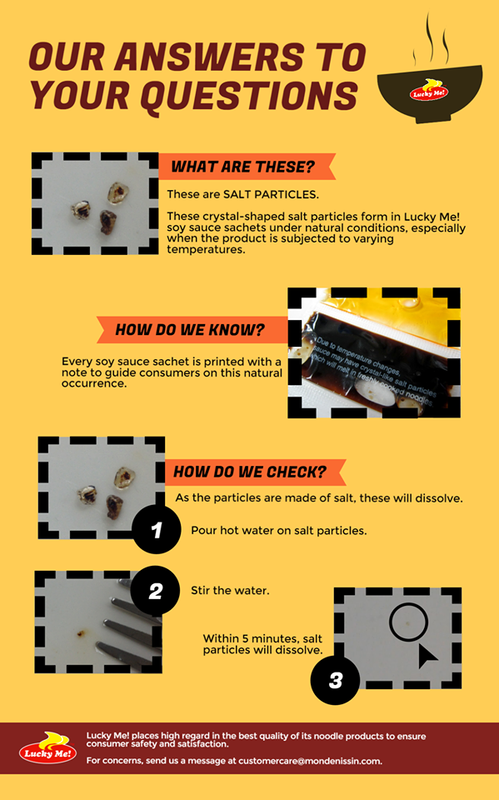 Every soy sauce sachet is printed with a note to guide consumers on this natural occurrence. As these are made of salt, the particles will dissolve when mixed with freshly cooked noodles or hot water. Rest assured that Lucky Me! places high regard in product quality and safety by employing stringent quality control measures. The company did not say that the product shown in the viral video is fake.